There’s no better way to witness the fury of Kilauea and get close enough to really feel the heat than on a GUIDED BICYCLE TOUR THROUGH VOLCANO COUNTRY. For the complete bike-tour experience of HAWAI‘I VOLCANOES NATIONAL PARK, there’s a BIKEVOLCANO.COM day trip that takes cyclists on a mostly downhill, paved, 15-mile course through the park. For those who don’t have time for the full-day tour, there’s the SUMMIT TOUR. 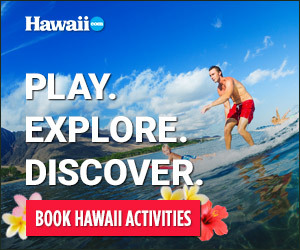 Both tours offer pick-up at the Port of Hilo, making them the perfect activity for cruise ship, and island-based visitors. The mostly downhill course runs 8.5 miles, and takes guests from the Kilauea Overlook along the rim of the caldera to the steam vents, through a Hawaiian rainforest and on to THURSTON LAVA TUBE. There’s also the 12 miles of biking, 1.5 miles of hiking BIKE TO PELE tour, offered depending on volcano lava flow. Tours include mountain bikes, helmets and other provisions.